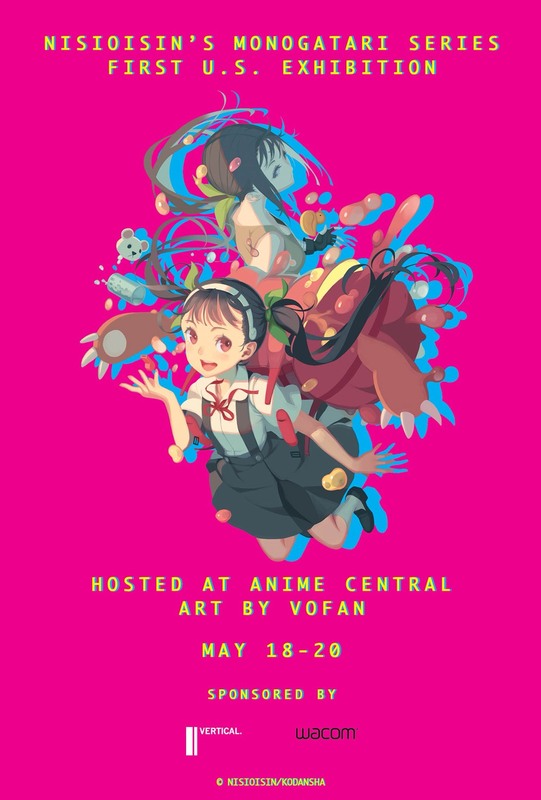 Anime Central to host the Monogatari Series art exhibit presented by Vertical Inc. and Wacom! HomeAnime Central to host the Monogatari Series art exhibit presented by Vertical Inc. and Wacom! Anime Central to host the Monogatari Series art exhibit presented by Vertical Inc. and Wacom! This will be the FIRST time ever in the U.S.! With some amazing artwork that has been unlocked from VOFAN’s vault!